Loan sharks have been prevalent among our society since the beginning of early civilization. Illegal money lenders will often stop at nothing to collect the extortionate interest rates “due” to them. Such is the case below. The following mafia loan sharks were infamously world-renowned for committing the most violent and heinous acts when owed money. Without further ado, we present to you the most violent and notorious mafia loan sharks in history. Often seen chomping on an expensive Cuban cigar and wearing a stylish fedora, “Fat Tony” was the underboss to the Genovese family. His primary operations included gambling, numbers rackets, and loan sharking. His overall illegal operations grossed his empire over $50 million annually, including his loan shark business. 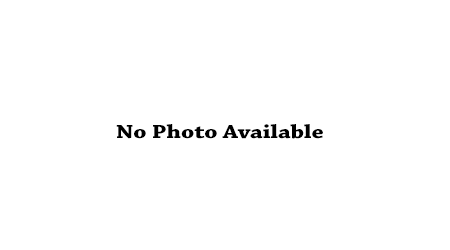 Salerno died of stroke at the Medical Center for Federal Prisoners in Springfield, Missouri. He was 81 years old. 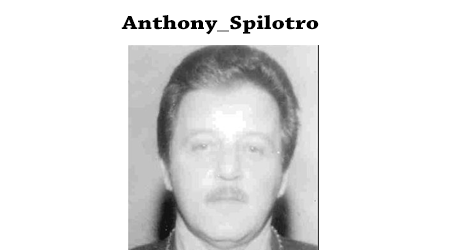 Anthony “The Ant” Spilotro was an enforcer for the Chicago Outfit–a mafia family with headquarters in Chicago and Los Angeles. He was a lethal enforcer that ensured the Mafia got their cut of casino profits, otherwise called “the skim”. He also had a loan sharking business on the side. The actor Joe Pesci portrayed Spilotro in the blockbuster movie Casino. Spilotro was a known terrorizer and had made a lot of “noise” in Vegas, and thus, was targeted by mafia bosses alike to “take a hit”. It was later confirmed that he was strangled, beaten, and buried alive at a cornfield in Illinois. 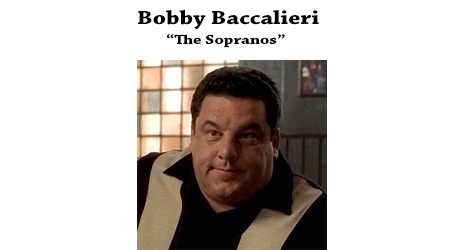 Bobby Baccalieri is a fictional character on the hit HBO series The Sopranos. Although often quite shy and reserved, Bobby was the right hand man of Junior Soprano and eventually turned underboss. He ran a successful illegal money lending operation. While this character is only fictional, we felt it worthy to include in this list. 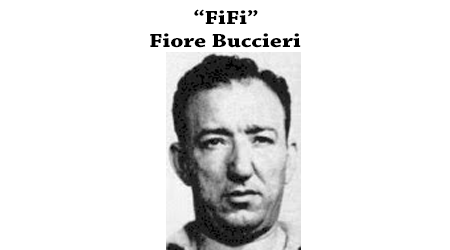 Fiore Buccieri was a dangerous predatory lender working for the Chicago Outfit. He was dubbed “The Lord High Executioner” by authorities and was the top enforcer and personal bodyguard for Sam “Momo” Giancana. Buccieri was known for sending his thugs to employment offices to pass out “loan officer” cards. Whilst many loan sharks and crime outfits viewed the unemployed as unprofitable prospects, Buccieri managed to instill such fear in his “borrowers”, that they would often rob or kill just to pay his dues. He died of cancer in 1973. Frankie Breeze–as he was oherwise known– was a made man for the Chicago Mafia. 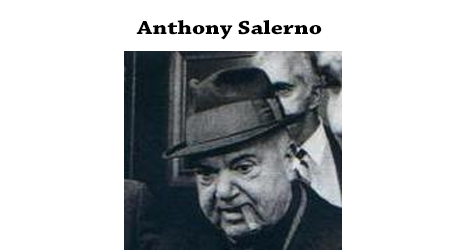 He ran large loan sharking and illegal gambling operations for the Chicago Outfit. Calabrese often told his thugs to “do whatever it takes” to collect on umpaid loans. This often resulted in borrowers losing their car, home, business–and in extreme cases–their lives. In 1995 Calabrese and other members were charged with federal crimes and sentenced to 118 months in federal prison. He later died on Christmas Day of 2012 from long term medical problems. 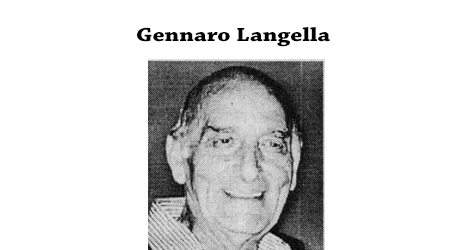 Known as Gerry Lang, he was the acting boss of the Colombo crime family. As a youngster, he quickly rose through the ranks and “proved” himself. He supervised many labor, extortion, and illegal lending operations. Infamously known as an arrogant and ruthless loan shark. He is currently serving a life sentence at the United States Medical Center for Federal Prisoners in Springfield, Missouri. His expected release date is September 2, 2052. 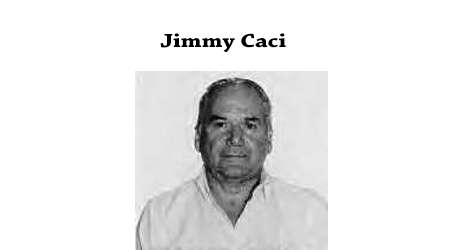 Vincent Dominic “Jimmy” Caci, a Captain in the Los Angeles crime family, was active as a loan shark in Palm Springs and Las Vegas up until his death in August 2011 at the age of 86. He ran a multitude of illegal bookmaking and loan sharking operations that made upwards of $1 million per week. 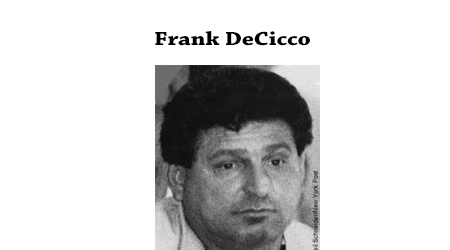 “Frankie Cheech” was the underboss for the Gambino crime family in New York City. He is infamously known for the public assasination of the family’s boss, Paul Castellano. When collecting bookmaking or illegal lending payments, Decicco was known–and not afraid–to use violence to get his point across. He was eventually killed in a car bombing intended for him and Gambino crime family boss John Gotti. John Gotti was not present and Decicco was killed instantly. 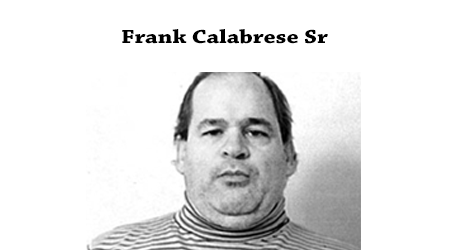 Brother of Frank Calabrese Sr. Known for using physical violence to collect debts in the name of the Chicago Mafia. He was later indicted and charged with operating bookmaking and loan sharking rackets. He eventually testified against his brother Frankie. He is set to be release from prison in 2013, although he may never live life as a free man. It was reported that the Chicago Mafia has a hit out on him. Known to authorities as the “worst torture murderer the United States has ever seen”. 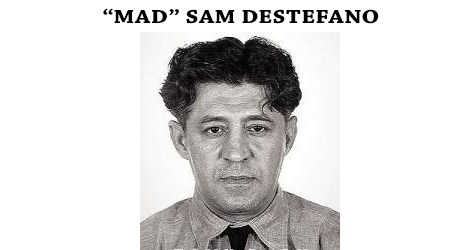 A member of the Chicago Mafia, Destefano was a notorious loan shark and psychopathic killer. He became one of the first loan sharks in Chicago and was the most successful, according to rumors from the Chicago Mafia. He often enjoyed it when debtors couldn’t pay up. When this happened, he would take them into his torture chamber in his basement, where he would torture victims fro days and ultimately kill them. He was so sadistic, that he foamed at the mouth with exasperation as he killed them. He was eventually killed by a fellow mobster. 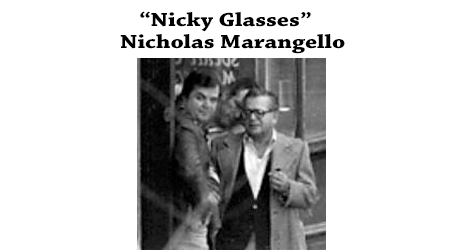 Known as “Nicky Cigars”, he was the underboss for the Bonnano crime family. He operated a loansharking and booky operation in Brooklyn and Manhattan that netted the family millions of dollars per year. He died on December 30, 1999. The “Old Man” was the boss of the Los Angeles crime family from 1967 until 1974. 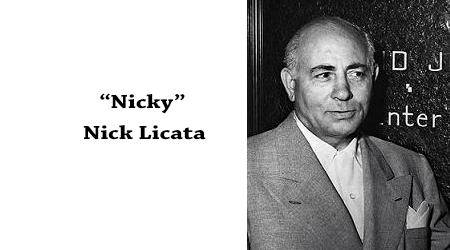 Licata owned apartment buildings, barrooms, and other commercial business establishments. His illegal operations included being a prosperous bookie and loan shark operating out of Burbank, CA. He died in October of 1974. “Teets”, as he was known, was a loan shark to be reckoned with. His brutal ways were known far and wide, as many people–even those in the Chicago Mafia–were deathly afraid of him. In fact, along with a multitude of dangerous crimes he committed, he was suspected of at least 7 homicides. He died in September of 1973. 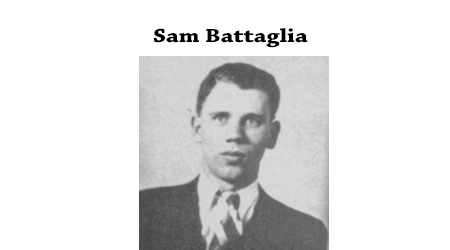 “Willie Potatoes” was a high profile, lethal enforcer for the Chicago Outfit. He was very similar to Sam Destefano in that he experienced pleasure in torturing his victims. It’s noted that he often times tortured victims by using a blow torch and ice picks on them for hours before killing them. One of the Chi-Town Mafia’s most ruthless killers. Is there a more ruthless mafia loan shark that we missed? Let us know about it in the comments. Remember…if you or someone you know are the victim of a loan shark, please report them immediately. I need a 2000 loan. I can pay it back. But work isnt cuttin it and i got into some trouble. I got med bills. Please help me. Please. Need a loan in the amount of 6,000 quickly. Long term employment making over 60K a yr.
Open to terms of rate. Would like pay back in 12 installments. need loan for my cleaning business Iam aware of interest rate asking for 2500.00 I need 3 months to pay back. my and i desparetly a $2500 dollar loan like last week! PLEASE …IF THIS IS FOR REAL I CAN B REACH AM PM FM…N OTHER WORDS DONT DENY US..WEVE RAISED 5 KIDS. ALL GONE OUT OF THE HOUSE, AHD WE ASSIST THEM WITH SO MUCH FINANCIAL ASSIST THAT THE 23 YEARS WE STRUGGLED TO KIDS AND WHAT WE THOUGHT WOULD BE A LOT STRESS FREE.. WE WERE WRONG…WELL ALL N…WE HAVE BEEN WITHOUT ELECTRICITY FOR A MONTH NOW.THE LAST DAUGTHER SPRANG AN UNEXPECTED ..IM GETTING MARRIED IN 2 MONTHS…EVEN THOUGH MY HUSBAND WORKS..WE JUST DONT HAVE THE FUNDS 2 RECOVER FROM THAT WEDDING..WE ARE WHAT SEEMS TO ME IS FALLING DEEPER END ESPECIALLY SINCE AFTER THIS WEDDING MY HUSBANDS WORK SCHEDULE WAS CUT ALMOST IN HALF…PLEASE PLEASE HELP..I NEED IT LIKE ..LETS C..ITS 6.13A CST 4.24.15….IT NEED IT LIKE WITHIN THE NEXT 4 HOURS OR WE WILL BE EVICTED AND HOMELESS ON TOP OF EVERTHING ELSE..OTHER 1 OTHER HITCH I HAD CAR ACCIDENT 2 DAYS AGO..AND NOPE I HAVE NO AUTO INSURANCE…DONT LET US DROWN..WE WONT LET U DOWN.. I need $100k by Monday, 3/30/15 for approximately 90 days. 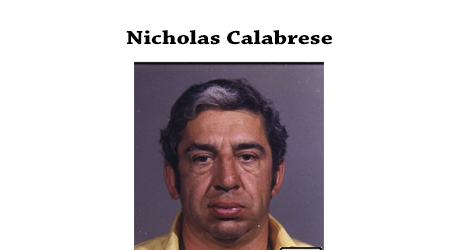 That picture is not nick calabrese. That’s butch petrocelli. I need a $2000.00 loan. I need a loan, but I have no collateral, I have poor credit I have been taken by many many companies in lost quite a bit of money. I have lost almost everything I own. So I’m asking for a loan and I don’t know what I can give in return except for I work two jobs and can pay the debt.